Glancing at Marquette men’s lacrosse’s 6-8 season in 2018, it might seem like the team would still be in a rebuilding stage. 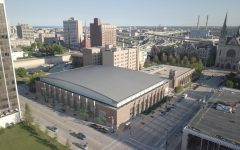 That’s not the case in Milwaukee though. 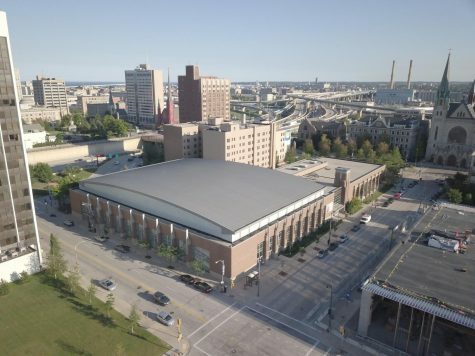 The Golden Eagles enter this year ranked No. 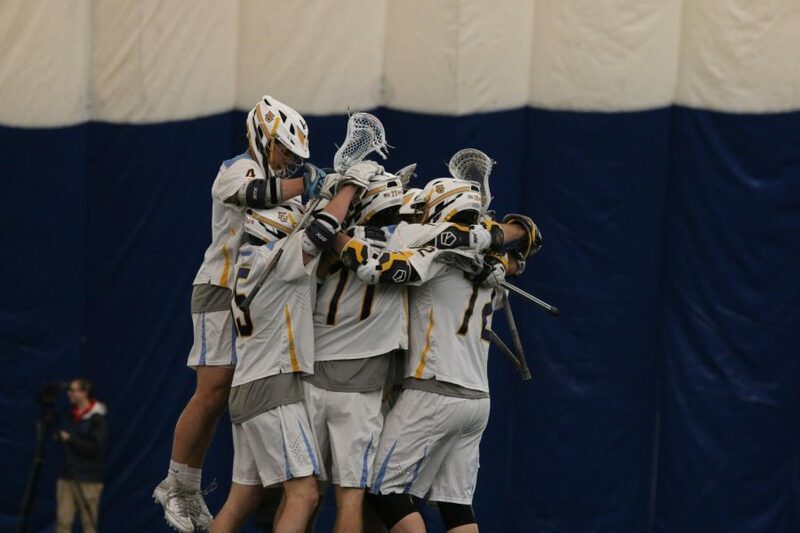 19 in the United States Intercollegiate Lacrosse Association Coaches Poll and are looking at one of their most promising seasons to date. The squad will play three of the preseason Top 20 teams in the nonconference schedule, which includes a matchup at Notre Dame and home contests with Duke and Ohio State. In the BIG EAST, Denver, Georgetown and Villanova are all in the Top 20. 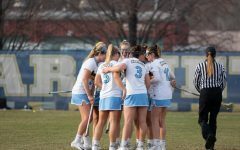 At the faceoff position, Amplo said the Golden Eagles will approach it by committee. 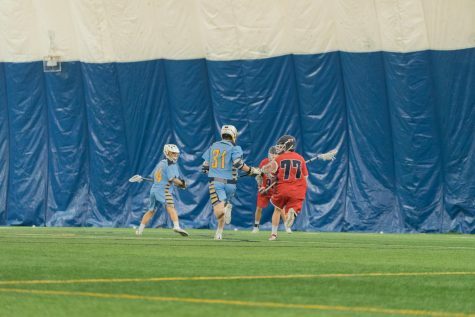 Freshman Thomas Washington has shown a lot of promise as a faceoff man in the offseason. In the scrimmage against Johns Hopkins Feb. 2, the 5-foot-6 Minnesota native took the majority of the playing time. 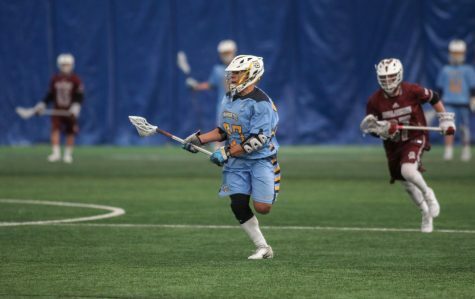 Jared Hershman, a junior, is also expected to see a large amount of time at the faceoff X. The 5-foot-10 junior played for the Puerto Rican national team this summer and has given Amplo plenty of reason for optimism. Freshman Parker Underwood will also likely see some repetitions. The taller, lankier freshman takes a much different style than his counterparts because he needs to rely on his quick hands and angles more than others due to his build. He will compete for time as the year goes along. Last season, Marquette boasted a very young attacking line and struggled with its offensive production. This season, senior John Wagner will spearhead the attacking contingent. Wagner, a reigning First Team All-BIG EAST player, scored 15 goals in BIG EAST play alone last year, including five game-winning goals. He also recorded the fourth 30-goal season in Marquette history. Thomson is making the transition from offensive midfield to attack this season. Prior to his injury-induced redshirt season in 2018, Thomson earned All-BIG EAST Second Team Honors in 2017, scoring 20 goals and contributing 14 assists. 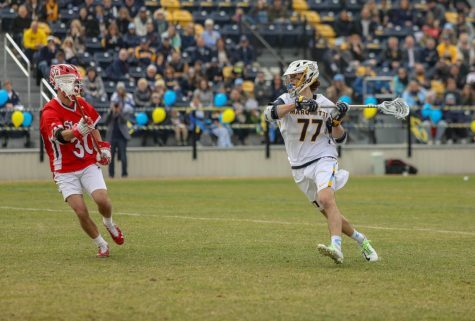 Redshirt sophomore Griffin Fleming is another player who could make big contributions as an attackman this season. 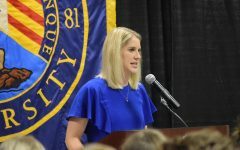 The 6-foot-1 redshirt sophomore from Bryn Mawr, Pennsylvania, had 10 goals and nine assists last season and is expected to be a consistent presence around the net. 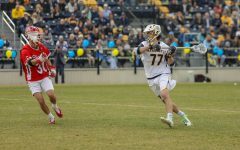 Freshman Holden Patterson is essentially the only newcomer, and he scored two impressive goals against the No. 7 team in the country in Saturday’s exhibition. Other players expected to factor into the attacking lineup will be junior Ryan Fazio and graduate student Andrew Romagnoli. Sophomore Anthony Orsini is making the transition from attack to midfield. Orsini scored 16 goals and racked up seven assists in 10 games last year. Jack Zerrillo is another key contributor from the offensive midfield. The redshirt senior scored 11 goals and added 10 assists last season. Bob Pelton and Connor McClelland will round out the offensive middies. 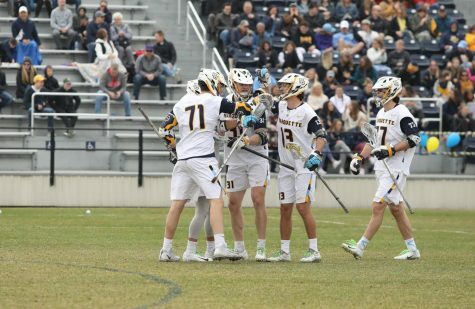 Pelton, a 6-foot senior, appeared in 11 games last year and put up three goals, but Amplo said his contributions go far beyond the stat sheet. McClelland is a junior from Ontario who scored 14 goals a year ago and is expected to pack a punch for this Golden Eagles lineup. 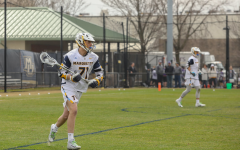 Redshirt sophomore Anthony Courcelle is classified as a small-stick defensive midfielder, but he could make big contributions to the offense as well. Against Johns Hopkins, Courcelle was all over the field, forcing multiple turnovers and rattling opponents with his physical play. 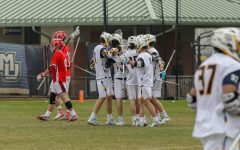 Luke Anderson and Nick Singleton are two others who will look to make headway as defensive middies. Anderson, a 6-foot-3 junior, is a physical player who also has the speed to make a turnover into a breakaway goal. 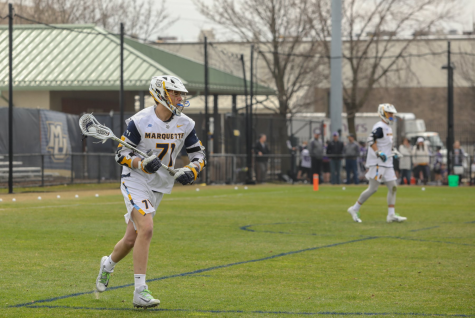 Singleton caused five turnovers last year and picked up eight ground balls, but beyond the statistics, he is a key cog in Marquette’s operation. Richard is expected to lead the long-stick midfielders as a unanimous preseason All-BIG EAST selection. 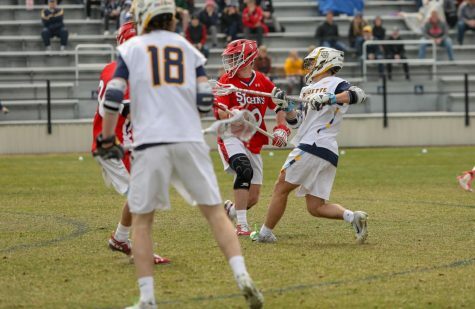 Last year, he led the team with 48 ground balls and was second on the squad with 11 caused turnovers. “If we play well, (Noah Richard) should be considered among the elite players at his position in the country,” Amplo said. Sophomore Moey Lardy is also expected to contribute after impressing his coaching staff and teammates in the Johns Hopkins scrimmage. Amplo said Lardy has made a “really big step” entering this season. Zach Granger, a 6-foot-1 sophomore, could also get some time at the position. 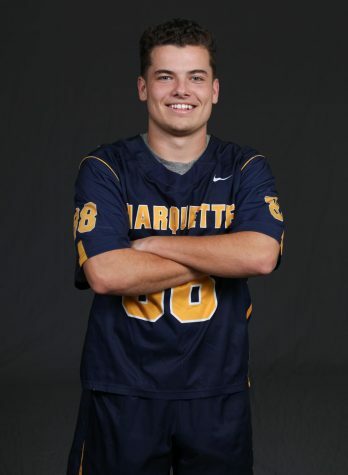 Junior Nick Grill is back to anchor the Marquette defense this season. 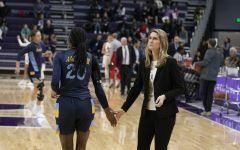 The 5-foot-7 New Jersey native is a preseason All-BIG EAST honoree and is expected to have a huge role as the team’s main lockdown defender. Amplo said he believes Grill is one of the elite players at his position in the nation. Seniors Brendon Connolly and Jackson Ehlert will have a key role on the defensive end as well. 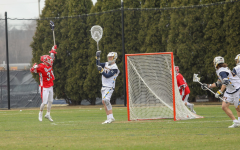 The Golden Eagles will need to adjust after the loss of goalkeeper Cole Blazer, who graduated as Marquette’s all-time leader with 360 career saves. 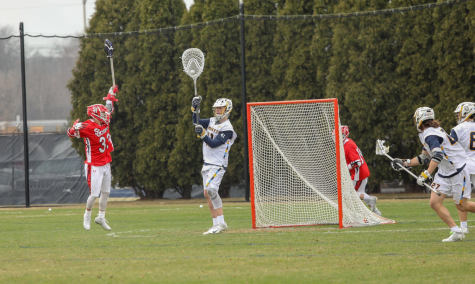 John Hulsman will likely see the most time in goal for Marquette after his transfer from Bellarmine University this year. The 6-foot-2 sophomore earned fourth place for save percentage in Division I during his freshman season. Gabe Stein is another potential goaltending candidate. The sophomore did not see much time in the goal last season, but he provides depth at the goalkeeper position. 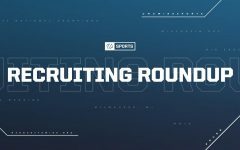 Chris Rolfing and Carver Skarnulis are also on the roster at the position. Rolfing is a 6-foot junior who saw very little time in the goal last season. Skarnulis, a 5-foot-10 freshman, holds the career record for saves at high schools in Texas.